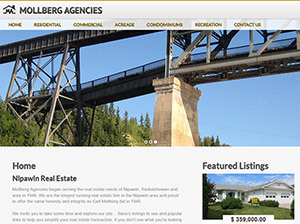 Congratulations to Mollberg Agencies on the launch of their brand new website. It looks terrific and has beautiful new listing layouts with the ability to simply schedule a showing online from any listing. Clean, crisp and beautiful! Don’t miss it if you are looking for rel estate in the Nipawin, SK area!